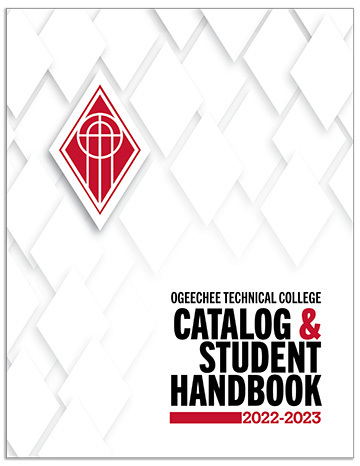 Terry L. Briley is the Program Coordinator for the Criminal Justice Programs at Ogeechee Technical College. He has been a certified law enforcement officer for 26 years. Mr. Briley has held various assignments throughout his law enforcement career to include Patrol, Traffic, Internal Affairs and Criminal Investigations. 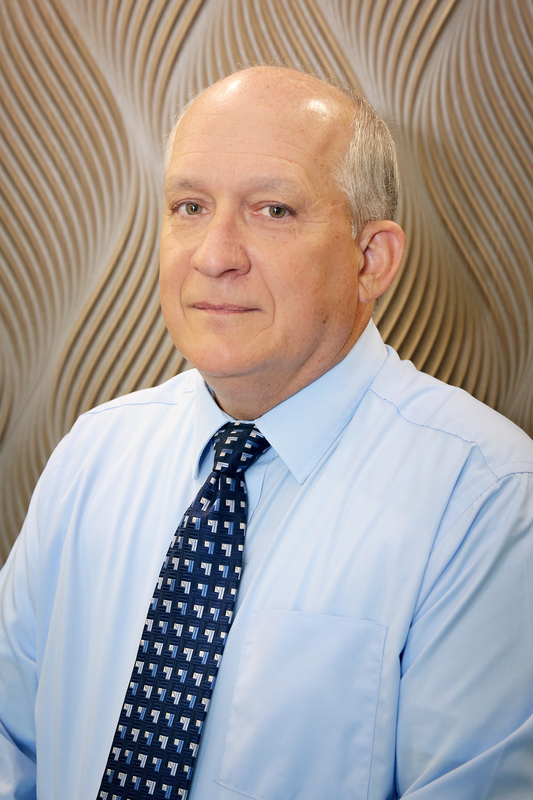 Mr. Briley has an Associates Degree in Public Service, a Bachelor of Science Degree in Justice Administration and a Master of Science Degree in Justice Administration. Mr. Briley served 13 years in the United States Air Force Security Forces and as a Military Training Instructor. 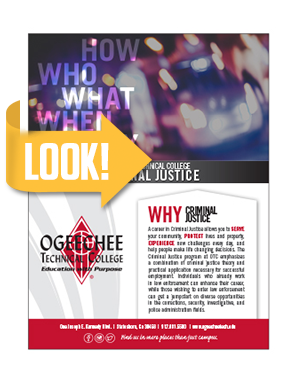 The Criminal Justice Technology programs are a sequence of courses that prepare students for Criminal Justice professions. Learning opportunities develop academic, occupational, and professional knowledge and skills required for job acquisition, retention, and advancement. The program emphasizes a combination of Criminal Justice theory and practical application necessary for successful employment. Graduates who are current practitioners will benefit through enhancement of career potential. Entry-level persons will be prepared to pursue diverse opportunities in the corrections, security, investigative, and police administration fields. Q: Where can I find employment with a Criminal Justice Degree, Diploma, or Technical Certificate of Credit (TCC)? A: In terms of the job market, the primary employer will be criminal justice agencies. The Criminal Justice Technology program prepares you to work for a police department, corrections facility, probation offices, etc. Some police departments may hire civilians in various roles, while many others may also want you to be a police officer. Some agencies will require that you have street experience as an officer before you can move into specialty areas (like investigations or forensics). Criminal Justice agencies are all different. If you are interested in a particular department or agency, I would suggest giving them a call or visit their web site to see what they may require. Students who plan to pursue careers in corrections, courts, and juvenile justice may also benefit from the Forensic Science programs. There are also emerging fields in criminal justice or that are criminal justice related. Some examples of positions in which a criminal justice education may be necessary or helpful: Paralegal or Legal Assistant, Legal Secretary, Court Reporter, Loss Prevention, Data Analyst (crime data), Background Investigator, Court Liaison, and Private Investigator/Surveillance Investigator, and many others (Source: Indeed.com). Please note that no one convicted of a felony can be certified as a police officer (and most other criminal justice positions) in the State of Georgia. A significant number of misdemeanor convictions may also negatively impact employment potential. Q: I have a job. How flexible are the courses? A: Every semester there are courses offered online, in the classroom at varying times, as well as hybrid courses. Hybrid courses allow the student to have some interaction with the instructor with a reduced number of meetings per week. Of course, a student taking online courses needs to have self-discipline and time management skills in order to stay on track and be successful. A: At this time we are not able to offer a double major in Criminal Justice and Wildlife Management. Because of the rotation of courses in the Wildlife Management program it would be not be possible to take Criminal Justice courses simultaneously. However, if you are interested in Wildlife Law Enforcement it certainly would be beneficial to have some combination of degree and/or diploma level courses in order to be more attractive to employers.